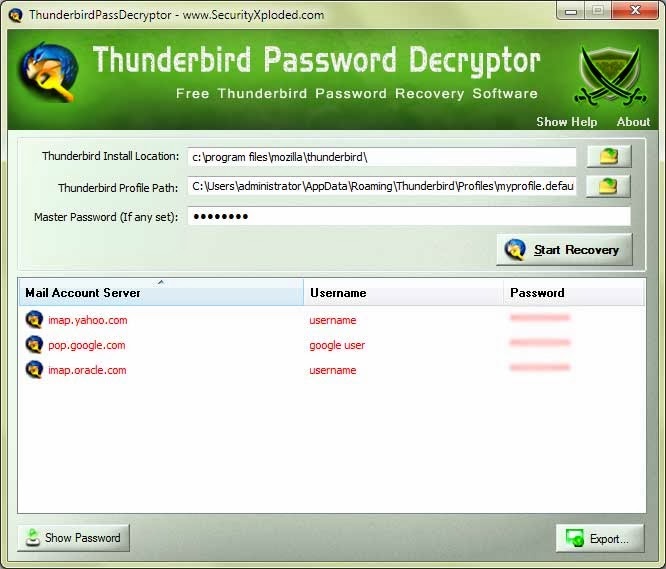 'Thunderbird Pass Decryptor' helps in instantly recovering all such stored Mail passwords. You can also use it to recover the Thunderbird account passwords from other system. It comes with Installer to help in local Installation & Un-installation of software. It works on wide platforms starting from Windows XP to Windows 8.